In a skillet, over medium heat, melt the butter. Add mushrooms, and sprinkle with seasoned salt. 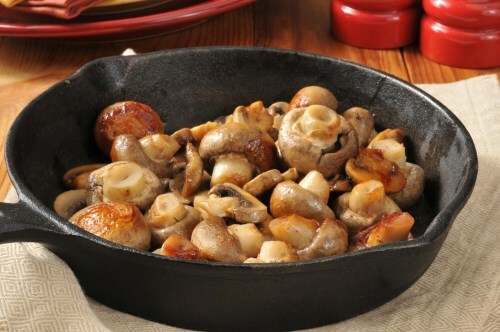 Cook, stirring occasionally, until mushrooms soften and become darker in color, about 10 minutes.